Criticism of Edna O’Brien’s acceptance of an honorary DBE is a little unfair and one-sided. While Edna O’Brien today is rightly regarded as an Irish writer of high distinction, whose work was also of social importance, it was effectively impossible for her to live and work in the censorious and authoritarian Ireland of the 1960s. As someone who has mainly resided in Britain for most of her adult life, she should surely be entitled to decide for herself without criticism from here, whether she should accept a British honour or not, without having to accept personal accountability for the whole British Empire. Of course, the nomenclature of much of the British honours system has become anachronistic over a long reign, as, apart from some small scattered possessions, the British Empire is gone for half a century. While it is easy to rehearse all the negatives of Empire from the point of view of Ireland and others at its receiving end, the anti-imperialist narrative, with which most of us instinctively identify and which even governments too easily trot out (‘Ireland never colonised anyone’), represents a considerable oversimplification of Irish history. In the 19th and early 20th centuries, even if the Union was as a result of a corrupt bargain between élites, Ireland was part of the United Kingdom, with substantial representation in the Imperial Parliament, and was often referred to as ‘a mother country’. Some of the Empire’s greatest military leaders were of Anglo-Irish background. Ireland, not just the shipyards of Belfast, provided many of the sinews of Empire, in terms of resources and personnel in both army and navy and administration. It should not be assumed that all those involved from many backgrounds were reluctantly or half-heartedly so. Even at political level, Home Rule by 1914 under Redmond’s leadership was invested by him and with widespread support at the time in an imperial context, and Arthur Griffith’s Austro-Hungarian dual monarchy model for relations between Britain and Ireland was not necessarily per se anti-British Empire. Post-revolutionary independent Ireland has adopted a separate and different identity, but that does not relieve all national co-responsibility in the past for the evils of Empire, or justify national self-portrayal exclusively as victims and never as beneficiaries or perpetrators. Irish people after all helped people the Empire, and often as a matter of choice not just dire necessity. Underpinning better north-south relations surely requires more acceptance and understanding that Irish and British were not and are not just polar opposites, so perhaps we could be a little more tolerant of the choice of a famous Irish writer in a Great Britain that facilitated her career instead of initially trying to silence her. 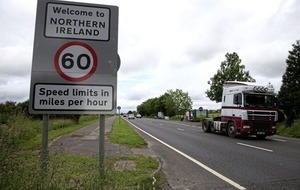 How do we ever expect to build a common identity across this island, if we only pay lip service to respecting the traditions of others and treat honours readily accepted by unionists and some nationalists as ‘tainted’? This week the NSPCC is launching our #WildWestWeb campaign which is calling for a mandatory code to regulate social networks to prevent the grooming of children online. At present, we are often relying on police to intervene after harm has already been done. In one year (March 1 2017 to February 2018) the PSNI recorded 68 offences of Sexual Communication With a Child and we are seeing an alarming rise on the Internet, including social media platforms such as Facebook, being used by groomers to sexually exploit and harass children. As part of our new campaign, we want to see social media companies taken to task on regulating their sites to make them safer for children. We know that the UK government at Westminster has plans to introduce a voluntary code for social networks across Northern Ireland and the rest of the UK, which operators could choose to accept or ignore. We believe that this doesn’t go far enough. For the past ten years, social networks have been allowed to self-regulate and yet they have consistently failed to take the necessary action needed to keep children safe. We cannot let them mark their own homework any longer and they need to take a more active approach towards detecting and preventing online grooming. The NSPCC is calling for an independent regulator for social networks with fining powers; a mandatory code which introduces safe accounts for children; mandatory transparency reports forcing social networks to disclose how many safety reports they get, and how they deal with those reports. However, as we get set to take on the challenge of regulating the online world for children, I am mindful that the ongoing situation at Stormont means we are currently without a local government in place to fight for our children. We need our local politicians to prioritise child protection before it’s too late. If the UK is to be the safest place in the world for a child to go online, then it’s vital that Northern Ireland representatives work together with Westminster to drive this work forward. Groomers won’t wait to target our children so we can’t afford to waste another minute to protect their safety. 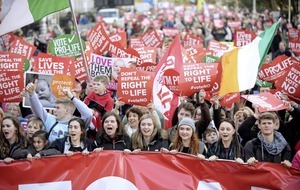 With the May 25 Referendum quickly approaching, voters will no doubt feel anxious about where they sit in the intensely polarising ‘pro-choice’ or ‘pro-life’ debates. This one or the other approach to abortion care misses out the fact that voters can look at the referendum as an opportunity to make our healthcare services fit for purpose. That means healthcare services which are enabling of fair and just societies. From a public health perspective, providing free, safe, legal and regulated abortion care is an important way to make sure women in Ireland are treated equitably. That means giving women access to the specific services they need in order to participate fairly in society. In countries with restrictive abortion laws, like Ireland, women are forced into making possibly unsafe decisions and feel they can’t tell their doctors about important issues which may require follow-up care. The law prevents healthcare professionals from meeting the needs of women and providing the level of woman-centred care they committed themselves to training for. 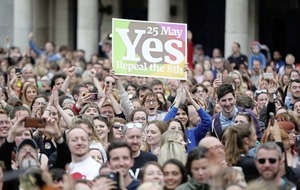 So the May 25 referendum is an opportunity for us to make Ireland a fairer and safer place for women by having abortion care available and accessible for those who need it. Why are the alleged deaths of Syrians at the hands of the Assad regime more worthy than Palestinian deaths or Syrian deaths at the hands of western-backed Jihadist terrorists in Syria? Has it got something to do with western foreign policy objectives? Why is death by gas more abhorrent, and legitimise a mass bombing campaign than death by mass bombing? Is it because bombing is the first weapon of choice by the west? Why isn’t there a red line for US drone strikes against civilians? Why wasn’t the 2008 US air strike against a wedding party in Afghanistan which killed 47 Afghan civilians (39 women and children) not considered a crossing of a red line? Why when more than 2,000 Palestinians where killed during Israel’s 2004 incursion into Gaza was this not considered a crossing of a red line?